Are you using data to provide insights into the work and results of your organisation? We offer a platform with the tools you need: a workbench and support to gather data, to prepare and verify data sets, and to help you puiblish and use that is relevant and accurate. Check the quality feedback on public IATI available via the IATI Registry. Click here to go to the feedback reports. Keep track of the data sets you work with. Share or publish information about the data you have.. Create or upload your own data, and get feedback to improve the quality before you publish. See your data in action in your own dashboard, share it, and get additional services and support. The IATI Data Quality Checker gives feedback on the data of your organisation, alliance, or partnership. Get recommendations for each activity to improve data quality. Check for common mistakes, and for compliance with guidelines of donors, or of your own organisation. The IATI Activity Structure Map shows how your activities are connected. See if the way you have organised your programmes and projects is reflected in your data, using the right identifiers. 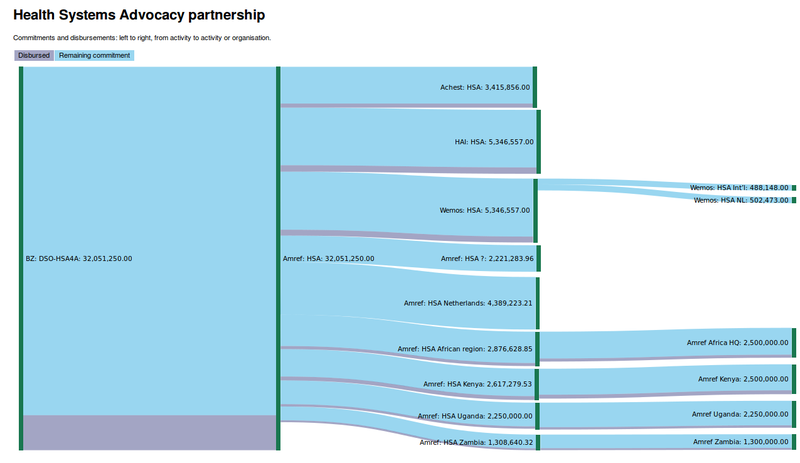 The IATI Financial Flow Chart shows the transactions between programmes, projects and organisations. Combine commitments and disbursements to see the progress in spending. The IATI Results Gantt Chart uses the result areas and indicators in your data. Check if it reflects your monitoring and evaluation framework and shows the progress of results of your work. We offer access to our tools at various price levels: available for organisations that want to benefit from open data now. And if you want to include tools based on your specific needs and circumstances, making them available to the wider community, let's talk! The Data Workbench is a platform to make working with data easier for aid and development professionals. We offer training and consulting services for organisations wanting to achieve better results through targeted information management.